Lifted and Ready for work. The Ford F-350 Super Duty is an absolute workhorse. It’s a big, beefy beast and it’s built to get the heavy duty jobs done without complaint. It’s the choice for many that have a lot of hauling and towing to do – or for those that want the biggest and baddest in order to make a statement. 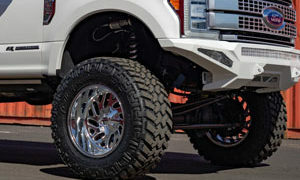 This Ford F-350 Super Duty is lifted and sitting on a new set of Fuel Wheels, and it’s looking to do work. This Ford F-350 is packing one of the meanest turbodiesel V-8 engines on the market. Under the hood, there’s a 6.7-liter PowerStroke V-8 engine that generates an earth-moving 450 horsepower at 2,800 RPM and 935 lb-ft. of torque at 1,800 RPM. That’s send through a six-speed TorqShift automatic transmission to the rear Fuel Wheels. What’s so impressive is that this Ford F-350 Super Duty is mostly stock. In terms of modifications, a new suspension kit has been installed that raises the ride height a few inches and a leveling kit to ensure that it all sits properly. This allows more than enough room for the new Fuel Wheels to roll without rubbing. For this monster, a new set of Fuel FF19D rims were installed with a dually setup at the rear. 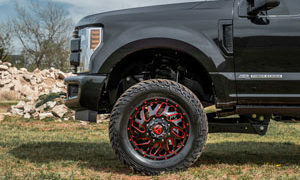 The new Fuel Wheels feature a unique spoke design with a Candy Black finish and Milled windows that go well with the body color and trim of the truck. 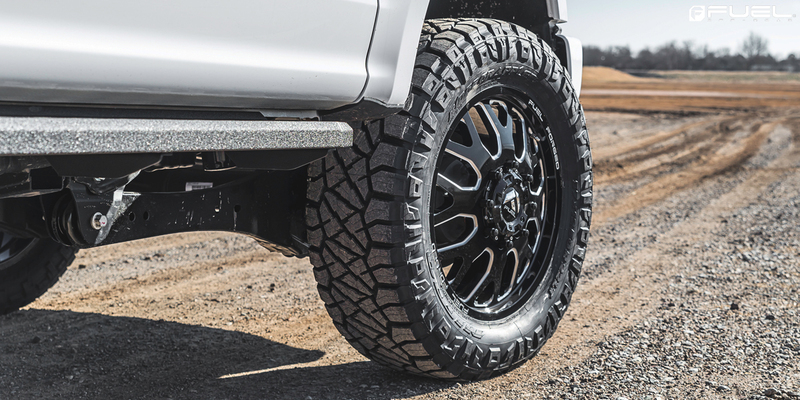 The new Fuel FF19D rims measure a hefty 22 x 8.25 at the front and rear and wear all-terrain tires for grip over any surface. 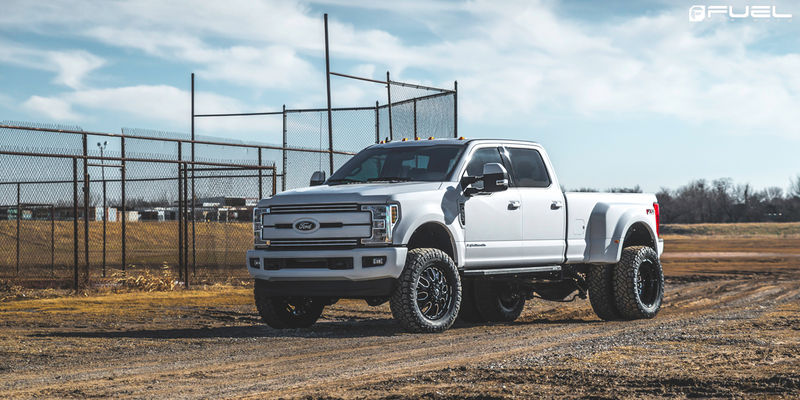 This Ford F-350 with Fuel FF19D wheels is more than ready for any kind of job thrown its way.